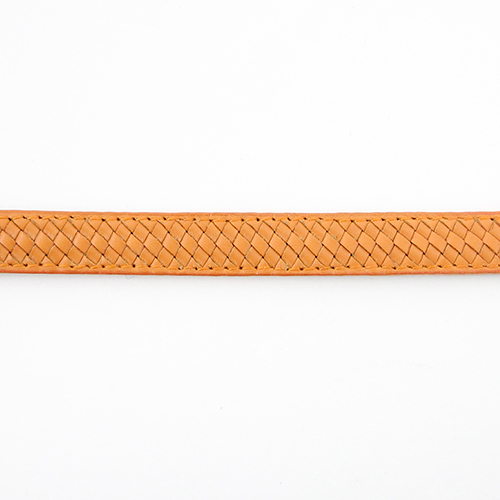 Kierry’s cool and fashionable Liz line uses straps of artisan-woven leather, so soft that it almost feels broken in. Against the elegant orange leather and black backing, a single large stone on the buckle catches the eye, the ultimate fashion statement. Designed to be wearable for casual outings as well as formal events. Note: The stones in the buckle may come loose if caught on clothing, claws, nails, etc. 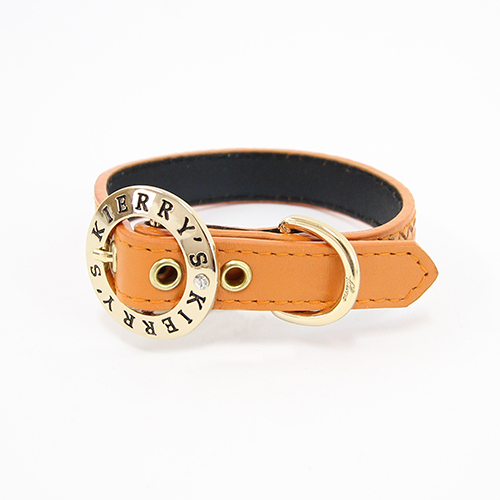 Kierry’s is a dog accessory brand by Japanese designer Maiko Toriumi. A dog lover herself, she was inspired by her 3 dogs to create her own line of accessories to keep pace with her own clothes and bags. 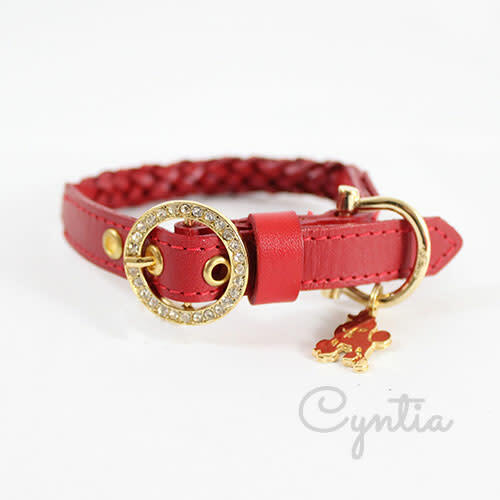 Kierry’s designs fashionable and cute collars and leashes, for dogs of all sizes. Every design is original and carefully thought out, and quality of material is of utmost importance. 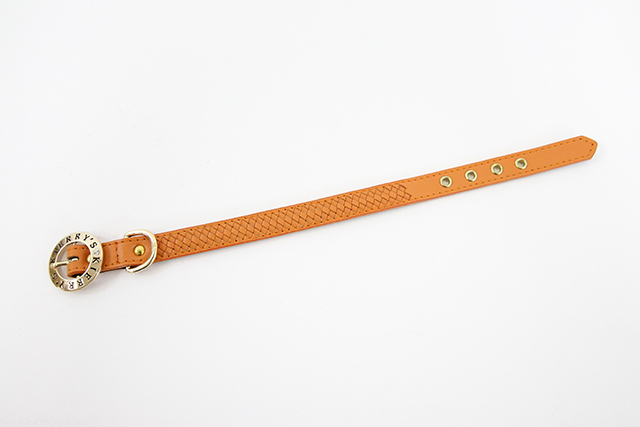 Only good-quality leather is selected and dyed, and even the metal parts used on collars and leashes are designed and produced in-house. Magasin Miyabi is excited to collaborate with Kierry’s to bring a new level of luxury to pooches in Singapore and beyond!